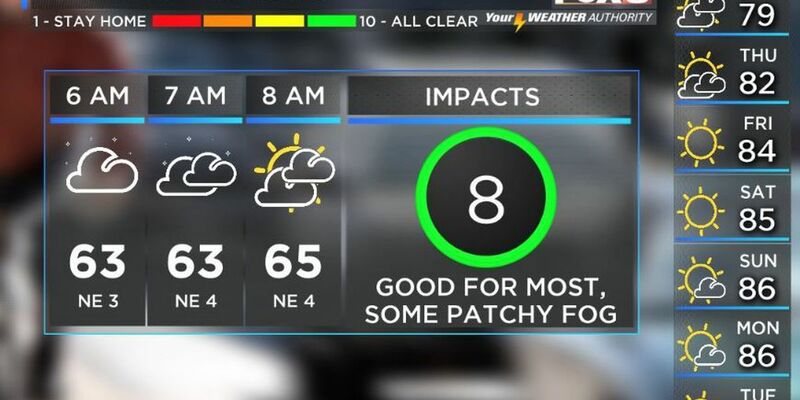 (WVUE) - More cloud cover is expected across the area as a weak disturbance moves east out of the Plains. This could help keep temperatures down a few degrees. Highs could stay in the 70s for those that see a good bit of cloud cover. Not many folks will see any rain today and tomorrow, but whatever falls will be light. Skies will gradually clear from west to east on Thursday. By the weekend, temperatures will once again warm to well above normal. The record-breaking warm October will resume with highs in the middle 80s. It will stay dry with lots of sunshine. Morning fog could become more common at times over the next five to seven days.